Being active and eating well helps keep your body healthy, but these habits can also aid in keeping your mind sharp. 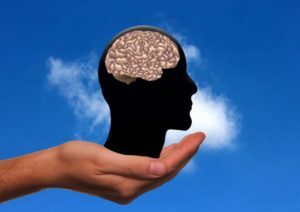 To reduce your risk of losing the ability to think well, the American Heart Association (AHA) and American Stroke Association issued a new advisory outlining a series of steps to keep both your mind and body healthy. “By following seven simple steps — Life’s Simple 7 — not only can we prevent heart attack and stroke, we may also be able to prevent cognitive impairment,” vascular neurologist Philip Gorelick said in a statement. The steps, developed by the AHA, include the following: managing blood pressure, controlling cholesterol, keeping blood sugar normal, being physically active, eating a healthy diet, losing extra weight, and never smoking, or quitting if you do. Cognitive impairment – is when a person has trouble remembering, learning new things, concentrating, or making decisions that affect their everyday life. 1. A stroke occurs when the blood supply to your brain is interrupted or reduced. This deprives your brain of oxygen and nutrients, which can cause your brain cells to die. Are you familiar with the causes and symptoms of stroke? 2. How are you doing with Life’s Simple 7?